What is the IOCDF Research Symposium? The goal of this Symposium is to provide a forum for high-level discussion of research topics among people who specialize in the study of OCD and related disorders. The IOCDF Research Symposium grew out of the popular regional New England OCD Research Symposium (NERS), originally created by Dr. Christopher Pittenger and co-sponsored by Yale University and the International OCD Foundation. In an effort to expand the reach of this invaluable research forum, we began offering the symposium as a Pre-Conference event in 2016. Now in its 4th year, the Symposium is intended as a complement to the “Research to Clinical Practice” track for researchers who attend the Annual OCD Conference. 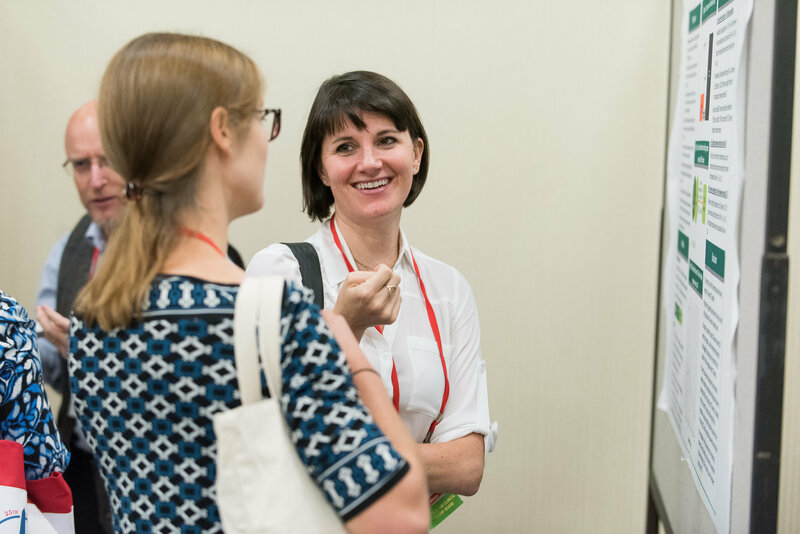 The Research Symposium brings researchers together from around the world to discuss their findings, fostering increased collaboration and networking across research groups. This is in contrast to the “Research to Clinical Practice” track, where research findings are presented to a mixed audience of researchers, therapists, and consumers who are interested in advanced level topics. It is our hope that these complementary offerings will make the Annual OCD Conference a truly enriching experience for OCD and related disorders researchers. We are very excited to announce that this year’s symposium will feature a keynote presentation by Odile van den Heuvel, MD, PhD. Dr. van den Heuvel is a psychiatrist and professor of neuropsychiatry at Amsterdam University Medical Center in the Netherlands. She is the leader of the ENIGMA-OCD consortium, an international research team that recently completed the largest-ever cortical imaging study for OCD. Other presentations will include talks from leaders in the field of OCD and related disorders, including: Darren Dougherty, MD, MMSc, Thomas Adams, PhD, Evelyn Stewart, MD, Bradley Riemann, PhD, Blair Simpson, MD, PhD, Gerd Kvale, PhD, Bjarne Hansen, PhD, Martin Franklin, PhD, Carolyn Rodriguez, MD, PhD, and Christopher Pittenger, MD, PhD. The program is organized by topic, and at the end of each section a senior researcher will moderate a discussion amongst attendees and presenters. The day concludes with a poster session. A detailed program will be available on this page beginning in April 2019. Click here to register for the IOCDF Research Symposium on Thursday, July 18, 2019.